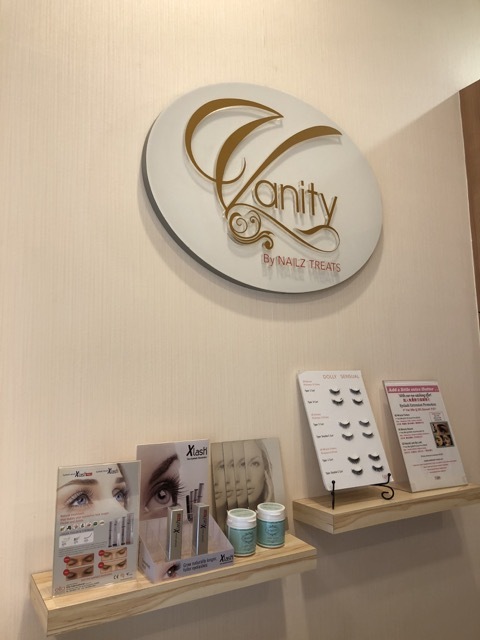 Back to Vanity by Nailz Treats, located at Bedok Mall #B1-56, my favourite place for all my gellish manicure and lash extensions need. One of the reasons why I like coming here is the massage chair… lol. 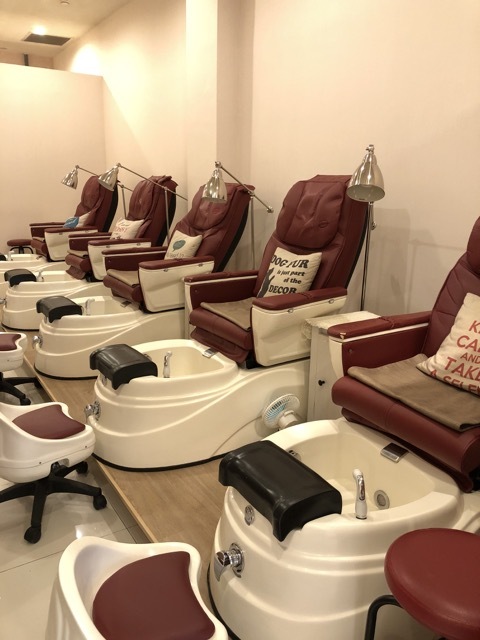 I can get a massage while getting my gellish manicure done. Multi-tasking at its best! I badly needed this cos my work as a trainer requires me to stand long hours causing the part of my skin on my heels to form calluses. I choose a pink and white theme with crystals cos I haven’t tried such design for a while already. Slight marbling effect on the white nail base. The manicurist proceeded to draw flower design on my nails. 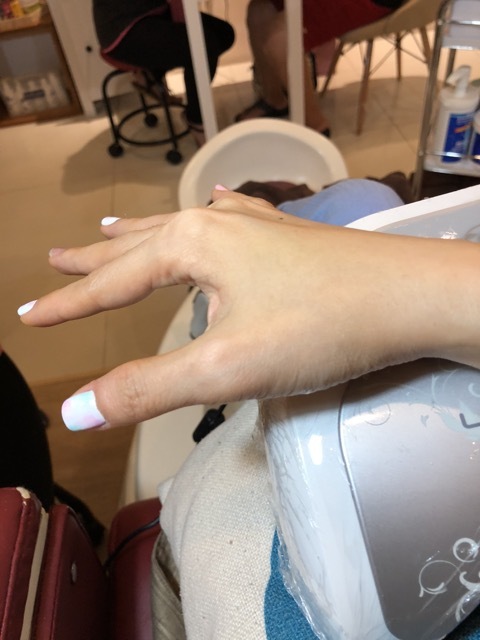 Take a look at the final gellish manicure. I love this design so much! 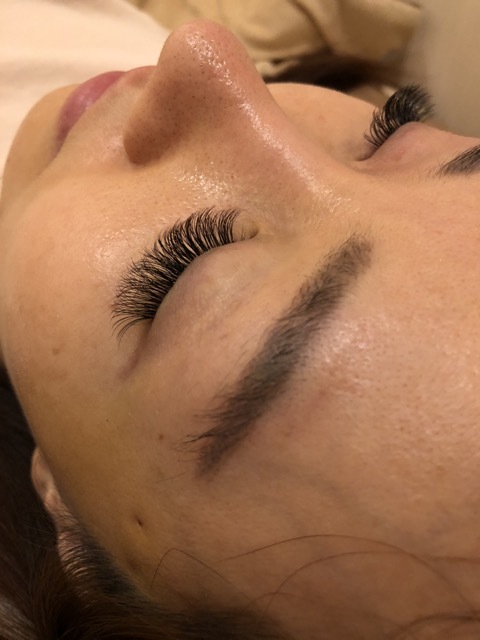 After the gellish manicure, I proceeded to do my eyelash extension. 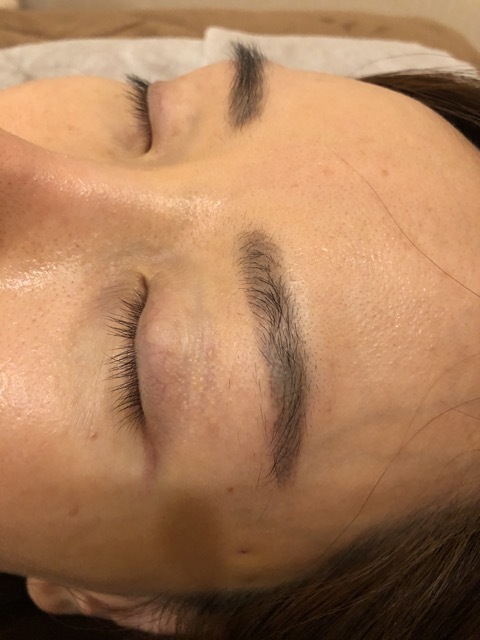 It had been so long since I did it and I so missed the convenience of not having to put on eye makeup if I don’t want to. 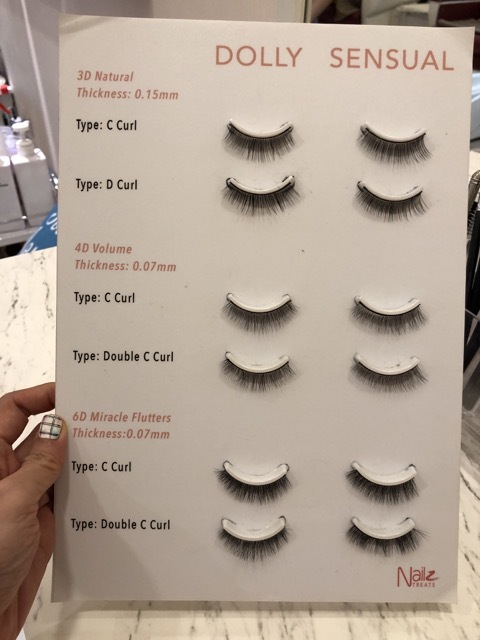 Nailz Treats is currently offering 6D Miracle Flutters so i decided to try the C curl. 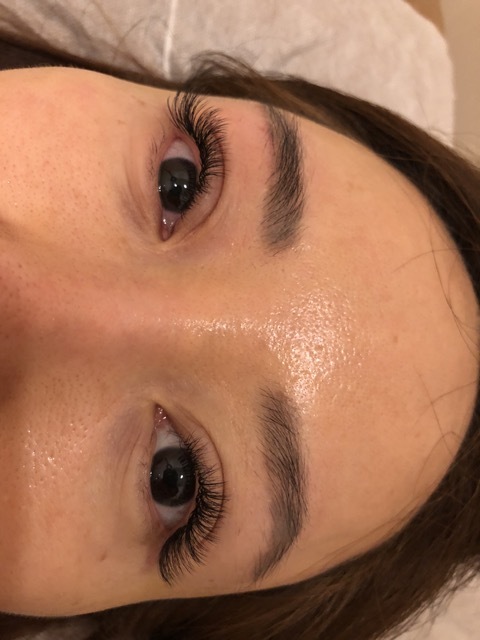 Take a look at my before and after photo of my eyelashes! So amazing! 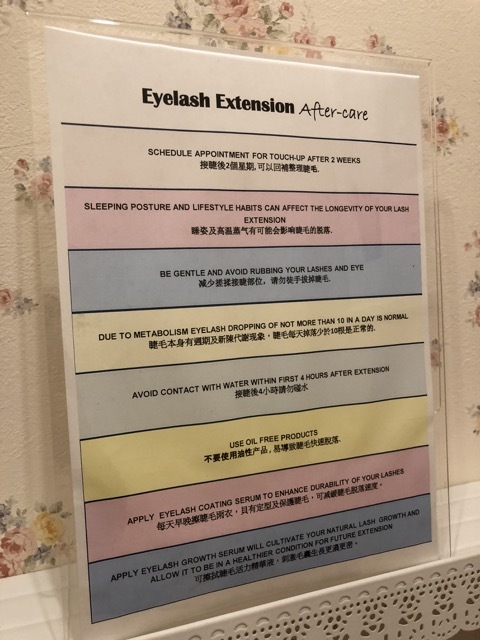 Nailz Treats also prepared a list of after-care tips… very thoughtful indeed! 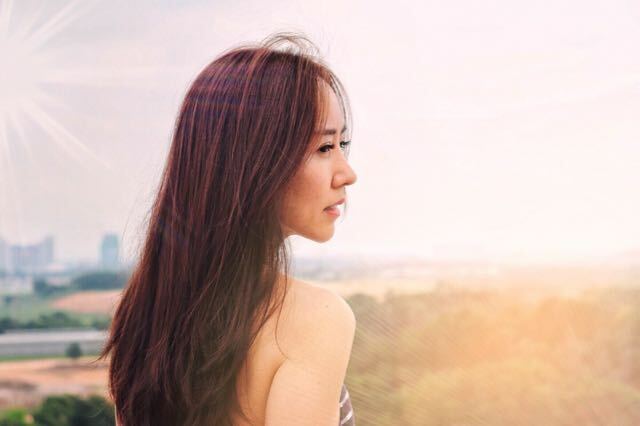 The effect is so natural that the eyelashes looked like my own extensions.